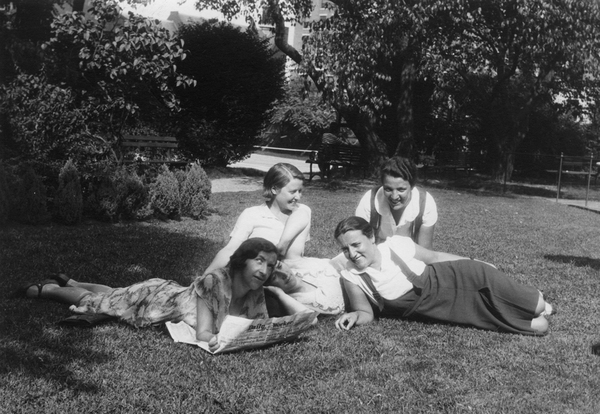 Five students from the Barnard Summer School for Woman Workers in Industry relaxing on lawn in the Jungle, Barnard College, circa 1928. SSWW_5_students_jungle_c1928, RG#13, Box 6. Barnard College Archives. “Students from the Barnard Summer School for Women Workers in Industry,” The Albert M. Greenfield Digital Center for the History of Women's Education, accessed April 21, 2019, http://greenfield.brynmawr.edu/items/show/633.